This Murtaugh model is outfitted with a titanium handle and an S35VN karmbit blade in a stonewashed finish. 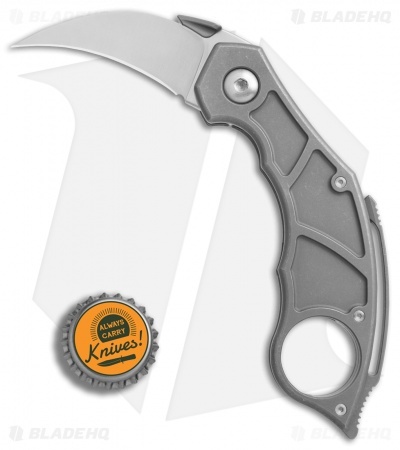 Quartermaster Knives have established themselves at the forefront of karambit manufactures with a long line of outstanding karambit knives. 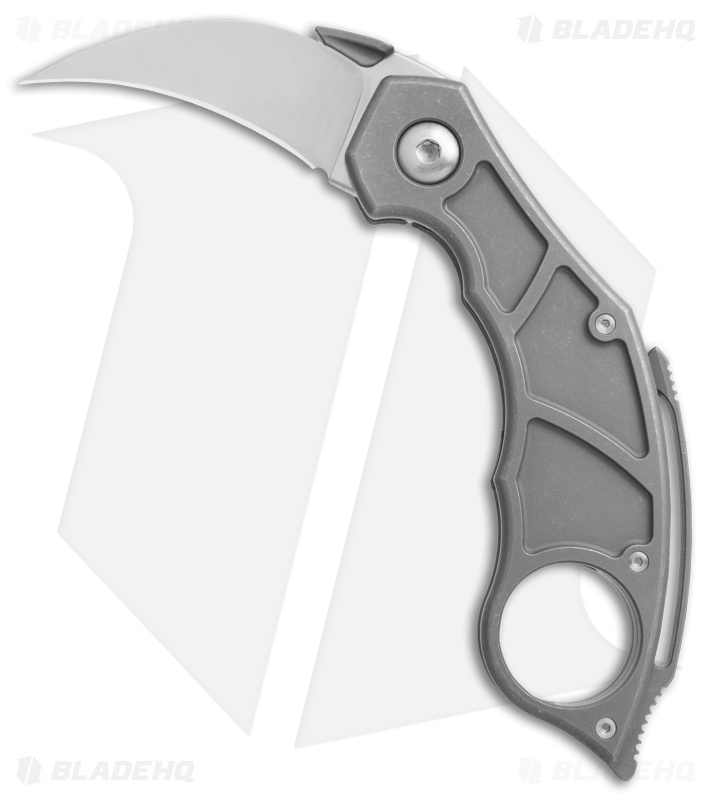 The QSE-14 Murtaugh adds a compact EDC karambit to the lineup with full titanium scales and a useful ambidextrous design. It has an integrated titanium "Spinal Tap" pocket clip that can be worn on the left or right side, with a titanium thumb plate opener that can function as an auto-pocket pull. Take your tactical EDC game to the next level with the Quartermaster 14 Murtaugh Karambit. Fully ambidextrous design with a Spinal Tap pocket clip and titanium thumb disc opener. 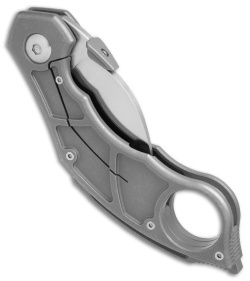 Large finger hole pommel offers a high performance grip with excellent retention capabilities. 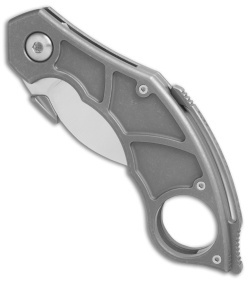 Titanium frame lock with a reinforced steel insert provides safe and secure blade lock up.